Several hundred Tibetans, who returned from India after attending teaching sessions overseen by the Dalai Lama, have been detained by the Chinese government and are being forced to undergo political re-education, a human rights group said. New York-based Human Rights Watch said it believed it was the first time since the late 1970s authorities had detained Tibetan laypeople in such large numbers, and comes as China frets about unrest in Tibetan parts of the country. China allowed about 7,000 Tibetans to attend the sessions with exiled spiritual leader the Dalai Lama in Bihar in India between Dec 31  and Jan 10 , in what the rights group said seemed to be a sign of a relaxation of policy towards Tibetans. "However, that changed against a backdrop of unrest in the eastern Tibetan areas and apparent fears it might spread to Lhasa," it said in an emailed statement received on Friday, referring to Tibet's capital. At least 15 Tibetans are believed to have died after setting themselves on fire since March  in protests against Chinese rule, mostly in heavily Tibetan parts of China's Sichuan and Gansu provinces rather than in Tibet itself. Tibetan advocacy groups say as many as seven Tibetans were shot dead and dozens wounded during protests in Sichuan in January . Chinese state media agency reported that police fired in self-defence on "mobs" that stormed police stations. Activists say China violently stamps out Tibetan religious freedom and culture in Tibet, a vast, remote and largely mountainous region of western China in the Himalayas that has been under Chinese control since 1950. China denies trampling on religious freedom and says its rule has bought much needed development. Human Rights Watch said the detained Tibetans had travelled in and out of China on valid Chinese passports. 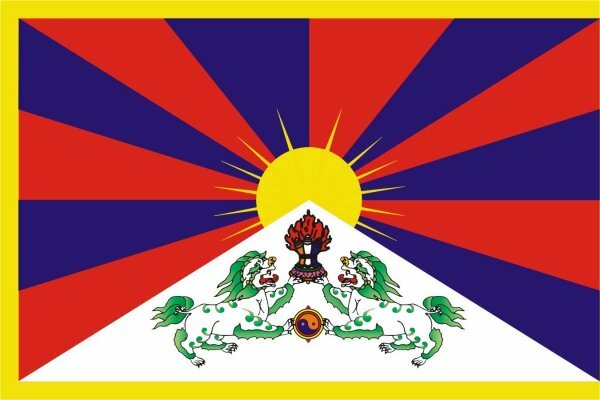 "There is no known regulation banning Tibetans from attending the teachings, and the returnees undergoing re-education have not been accused of any crime, such as carrying illicit documents or crossing the Chinese border without permission," it said. "There are no reports so far that any of the estimated 700 ethnic Chinese from China who attended the Dalai Lama's teachings in Bihar have been detained on their return to China, suggesting that the detainees are being selected because of their ethnicity," the group added. Calls to the Tibet government seeking comment were not answered. Rights groups say that Tibetan parts of China have been put under even tighter security than normal ahead of Tibetan new year, which falls on Feb 22 .